I felt somewhat the same way about You Are One of Them -- I loved the premise, and enjoyed reading the book, but by the end, started to feel like it was missing something (or I was missing something in it, perhaps). Maybe there's a sequel in the offing - we know she goes back to Moscow, and I want know what happens then! haven't read these, but loved the mini reviews. 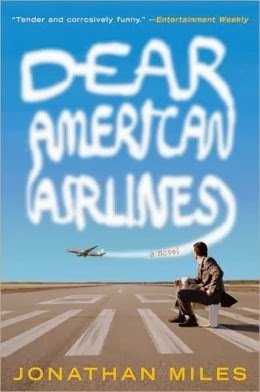 I can probably miss the first two books, but I definitely want to read Dear American Airlines now. Want Not was one of my favorite books of 2013, and I need to read more of Miles' work! I think I might try Dear American Airlines on audio. The others sound intriguing, even though they didn't quit work for you. I haven't read any of these authors yet!